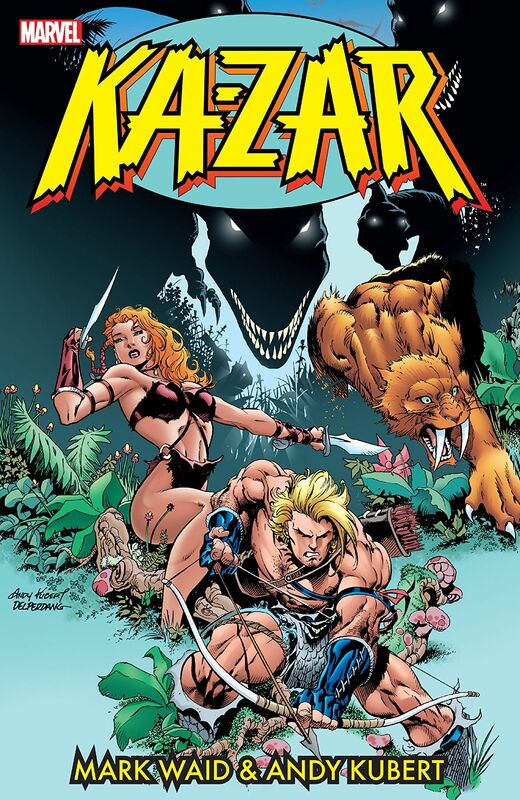 Collects Ka-Zar (1997) #1-7 & #-1 and material from Tales of the Marvel Universe #1. 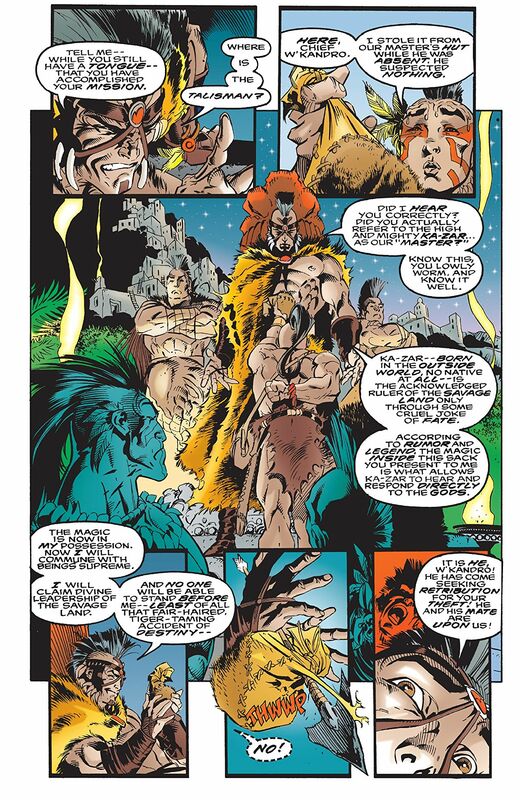 Ka-Zar, lord of the hidden jungle, is many things. A British nobleman. A man lost in time. A husband. A father. 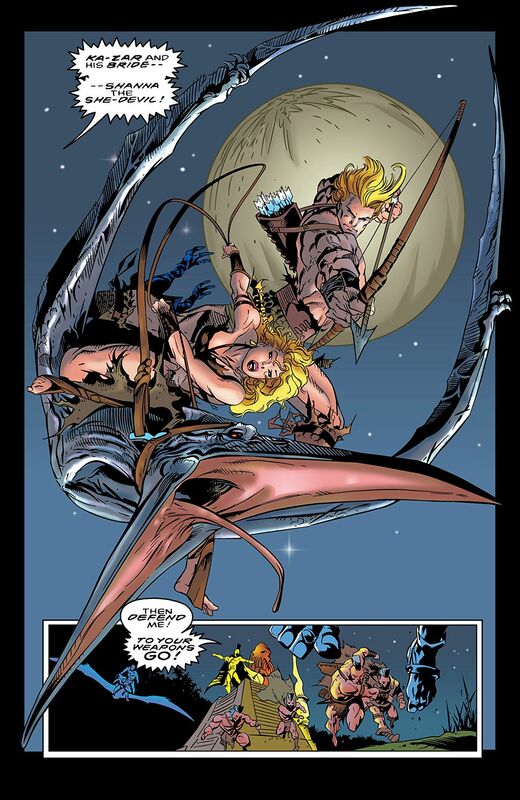 Best friend of a saber-toothed tiger. And younger brother to an incredibly evil man. 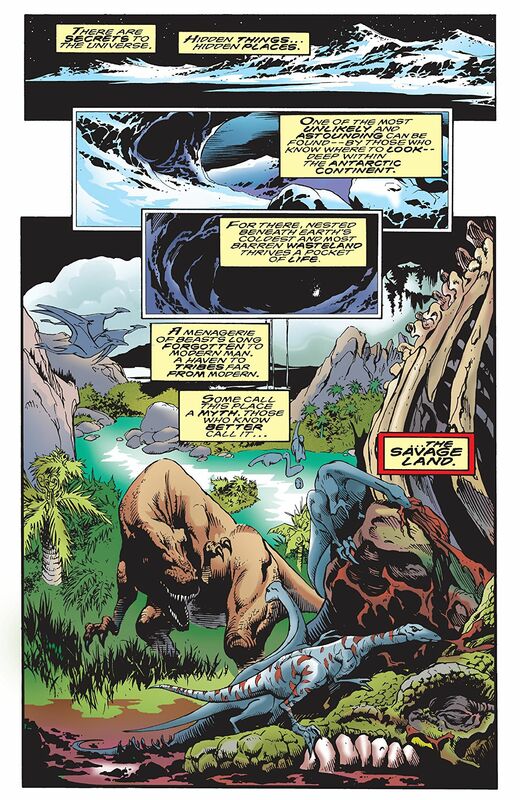 When the father of Parnival and Kevin Plunder died, he left his sons the very keys to the mysteries of the Savage Land, and Parnival has decided to take the secrets for himself! See Ka-Zar fight for honor and family in the verdant green jungles of the Savage Land and the harsh concrete jungle of New York!